No better story reflects the positive impact made on Southern Nevada children by the annual “PK Bike Day” than that of Jerome Goings, a former Durango High basketball player and honor student. 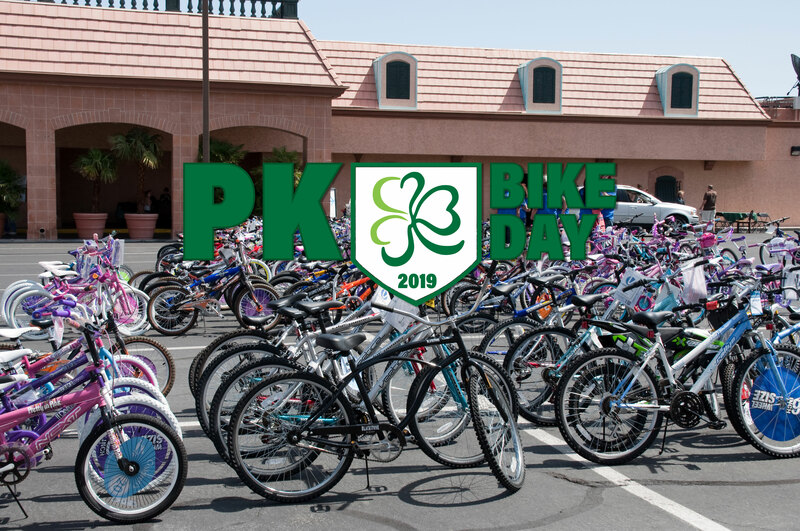 PK Bike Day is organized by the Patrick Kelley Foundation and held at the legendary Piero’s Italian Cuisine restaurant. With assistance from the foundation and board members, Goings was able to attend Oberlin College in Ohio, a high-level Division III academic institution. Goings, who also played basketball at Oberlin, was the first recipient of the Patrick Kelley Youth Scholarship in 2006 and graduated with a double major in Sociology and Law & Society, with a minor in Politics. He was a first-generation college graduate. Because not only of the financial assistance of the four-year, $20,000 PKYF scholarship, but also because of board member mentorship and inspiration throughout the college process, Goings was able to accomplish his goals. The board assisted Goings during the college selection process, provided support while he attended and still keep in touch with him to this very day. The 16th annual PK Bike Day is March 31 at Piero’s, and the event is near and dear to the employees and owners. Piero’s is owned by the Glusman family, and Evan Glusman was best friends with Patrick Kelley, who tragically died in a motorcycle accident in 2002. The Patrick Kelley Youth Foundation mission is to positively impact the lives of others by increasing social engagement in Las Vegas, providing opportunity and access to disadvantaged youth and their families, and promoting educational and life goals. Since its inception, the foundation has awarded $250,000 in scholarships and 2050 bikes to deserving children and young adults. PK Bike Day, which began as a casual gathering of friends in 2003 when only 15 bikes were given away, now features a carnival for the kids (from low income and underserved environments), a Piero’s catered barbecue and welcomes the families of the children. Each youngster—about 200 annually—receive a new bike, helmet and educational books in addition to the meal and fun. Board members and volunteers also attend and more are always welcome. For complete information about PK Bike Day and to donate or attend to help, visit pkyf.org. An annual foundation highlight is the awarding of the scholarships. Currently, six recipients are in college or graduate school and 10 previous recipients are college graduates. The impact of PK Bike Day is far more lasting than a few hours on a Sunday each year. Not only did Goings receive the scholarship and other help from board members, but following his sophomore year in college, he served an internship at the business of Mike Kelley (Patrick’s father). Goings learned and observed in a professional environment from Kelley and other board members H. Waldman and Bob Schiffman. 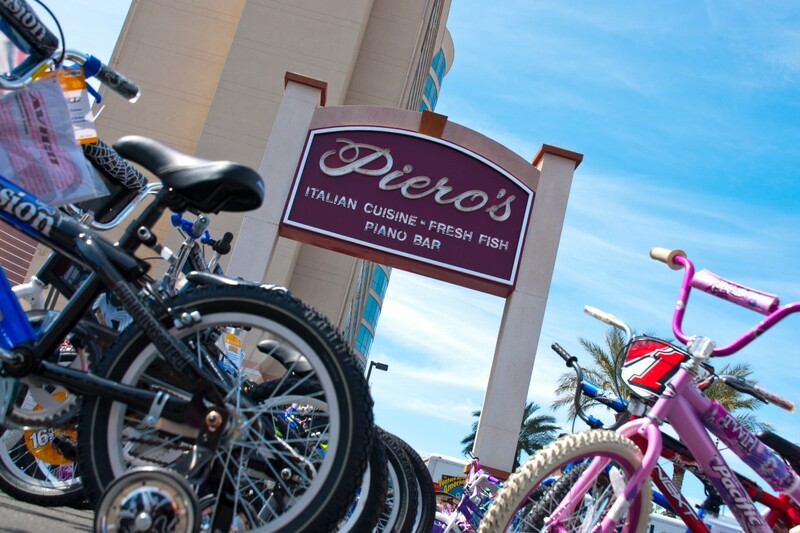 The entire Piero’s family gets involved with PK Bike Day and it is looked forward to throughout the year. “It is one of the best days in these children’s lives and to say we all play a small part in making the difference in someone’s life is priceless,” says Phillippe “Frenchie” Bouhourdin, managing captain at Piero’s. Ask Jerome Goings and he would agree that the help and mentorship he received from the Patrick Kelley Foundation was—and is—priceless. He carries with him the values of family and helping others instilled in him by board members and the foundation. Goings was an active member of the Oberlin community and performed weekly community service hours volunteering at various youth programs and upon graduating, he continued his passion of working with at-risk youth at Rutgers University in New Brunswick, New Jersey, and then in nonprofits in Columbus, Ohio. He still maintains the giving spirit today through his own business.